This image that came across Facebook prompted me to do a bit of exploring. Just so you know right away, this graphic is not entirely correct, but close. LOL… one thing I definitely found was depending upon the site the information on energy production, consumption, waste, etc. varies enormously depending upon the website’s affiliation to what power source. I expected some favoritism, but found many creative ways for a website to promote it’s energy source with statistics. Funny how each energy source seems to be the best…. So, where to go but Wikipedia. Monitored and fact-checked with no monetary rewards, Wikipedia is proving to be the best site to go to when looking for the actual facts. Plus, I wanted to keep this simple. I’m not writing a thesis here, nor sending a report to Congress. I just wanted to know how much energy Solar versus other sources in Tera Watts per hour (TWh). I was very pleased with what I found. Let me explain the difference in the years. First of all, the 2008 numbers is what was available on the Wikipedia page for world energy consumption. 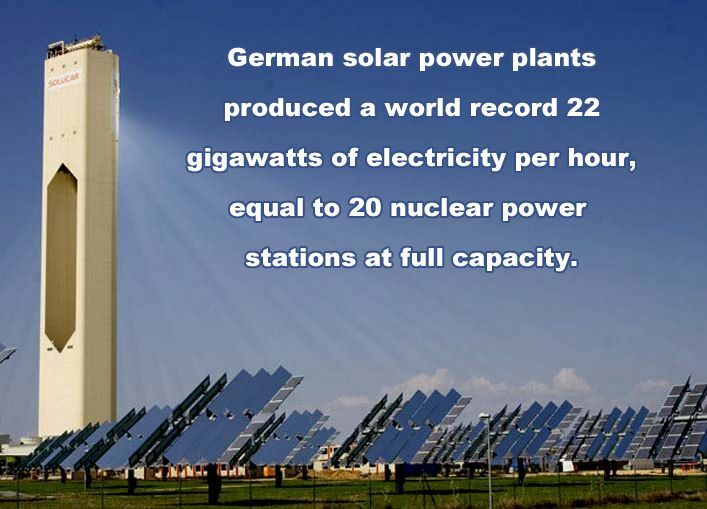 The solar number is from the Wikipedia page specifically on German solar power, which has updated numbers from 2012. But I did not want to use the solar power stat from 2008 because solar is such a new energy that it has grown in power production in leaps and bounds each year. 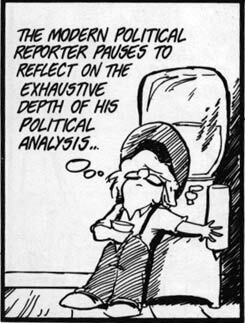 Whereas the other four sources have been around and used on a regular basis for decades now. Therefore the 2008 stats show numbers similar to today, whereas the 2008 solar numbers are minuscule compared to production now. And Germany versus the world average? Yes. This comparison tells me that we have the technology to create solar power as a competitive and viable source of clean, green energy – with NO carbon footprint and completely renewable. Germany just happens to be the country in the lead now. So, why are we still using our fossil fuels? Mr Big here will explain it all. Solar is well ahead of nuclear ( I don’t even want to think about the dangers of this energy source)Close to gas ( Fracking )Not too far behind coal ( filthy dirty) Still pretty far behind oil ( which can’t last forever, there were only so many dinosaurs) So, it’d be my choice of energy source. This is what happens when I stay up past my bedtime (yawn) Goodnight folks. That is in Germany too. Imagine the output in areas like where I live… the desert southwest. Nearly every day is sunny. Only about 3 or 4 cloudy days a month where it is more cloudy than sunny. Impressive stats … and a very telling cartoon. Yes, in the SW and on the Great Plains we could put up acres of solar panels and they’d hardly be noticed. Less visual pollution than wind farms, and quieter, too. Also, no moving parts to be replaced. 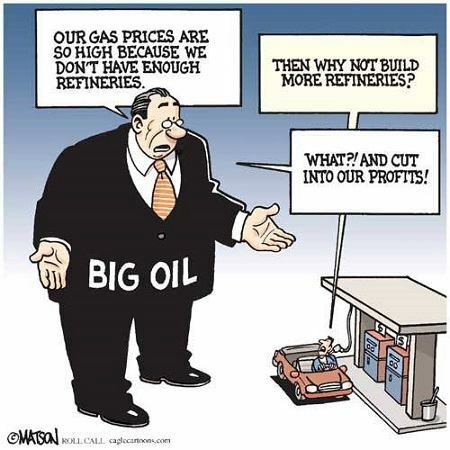 a free resource is never an attractive proposition to those who make their fortunes from our dependency on Oil..
No it isn’t. And until the majority of Americans wake up and pull their heads from the sand, they’ll never realize that renewable is a viable alternative.